Our dB-solution has been used in numerous renovation projects but this was the first new building to go with this solution in so large scale. Usually the hollow core slab or cast in-situ concrete slab is covered with insulation wool and then up to 100 mm of reinforced concrete is casted on top of it. Main contractor wanted to replace traditional thick concrete solution with something lighter and thinner but still getting excellent sound insulation figures. 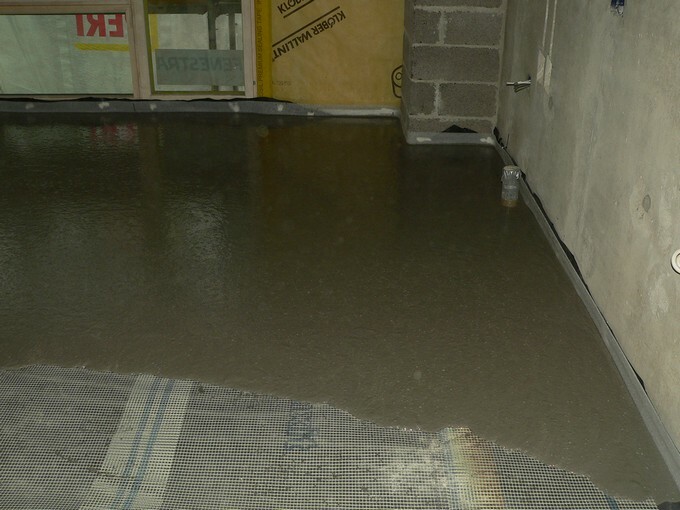 The substrate was 200 mm cast in-situ concrete slab. 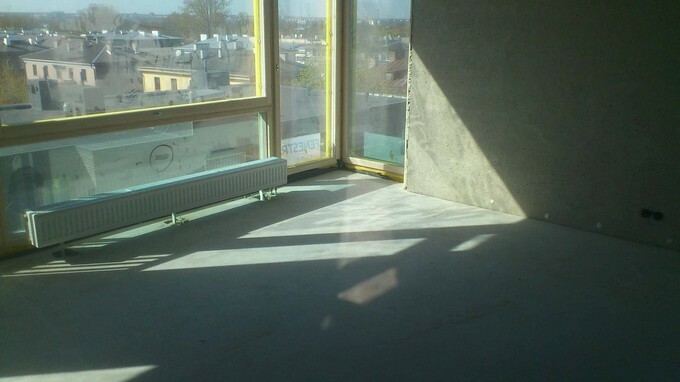 20 mm Isover FLO (rigid mineral wool for floating floors to reduce impact sound) was installed. Soft strips around the perimeter were glued and PE-foil was laid. Glass fibermesh for floors was used with 10 mm overlapping and 25 mm weberfloor 4350 dB-plaano casted on it. For final covering floating parquet was used. 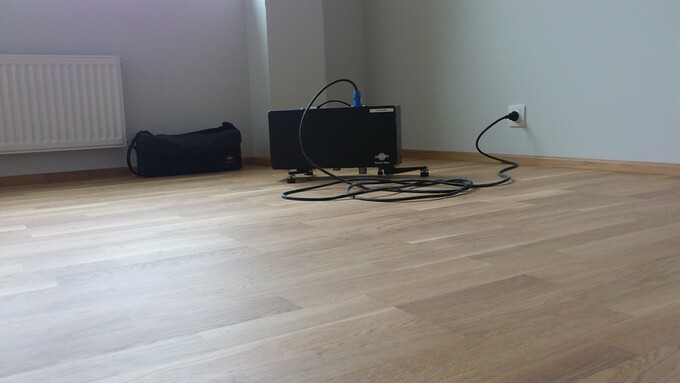 Sound insulation was measured when all the rooms were completely finished.